After a poor start to the year UK pro Elior "Crazy Elior" Sion has made a positive start to February with a $123,469 win over Ben "Sauce123" Sulsky at the $1k/$2k 8-Game tables. The pair played just under 1k hands in a split session at table Raphaela II yesterday evening. The first part of their heads-up session lasted for five hours. For the first three hours there was very little in the match but over the last two hours Crazy Elior began to pull away, reaching a profit of $170,788 when the pair took a 25 minute break. When the match resumed it looked like it was going to be a very big win for Crazy Elior as over the next hour he added another $50k to his profits, reaching a high point of over $220k profit for the day. However, Sauce123 managed to stage something of a comeback during the final hour of their game, clawing back $100k, leaving Crazy Elior with his $123,469 profit for the day. It's been a bad week for Sauce123 who now finds himself down over $350k during the last nine days. Second on yesterday's leaderboard we find Johnthefast who narrowly missed out on a six-figure profit for the day, ending up with a $94,092 score after 6 hours spread across the day at the $25/$50 and $50/$100 PLO tables where he played against the likes of Gavin "gavz101" Cochrane, Sergey "St1ckman" Vasiliev, Jens "Jeans89" Kyllonen, ActionFreak, Maahone, IReadB00ks, and Limwonster. Third place went to Swiss NLHE star Linus "LLinusLLove" Loeliger who came back after a rare loss on Wednesday to book a $75,184 win. 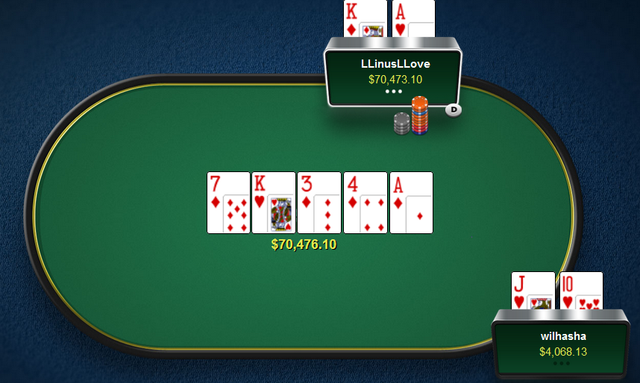 Most of LLinus's profit came from heads-up $50/$100 against bajskorven87, as well as taking a little back from Wednesday's nemesis, wilhasha, against whom LLinus took down the biggest pot of the day. The top four was completed by ActionFreak who puit together a $36,804 daily profit from most of the saem $25/$50 and $50/$100 PLO games in which Johnthefast made his big score.